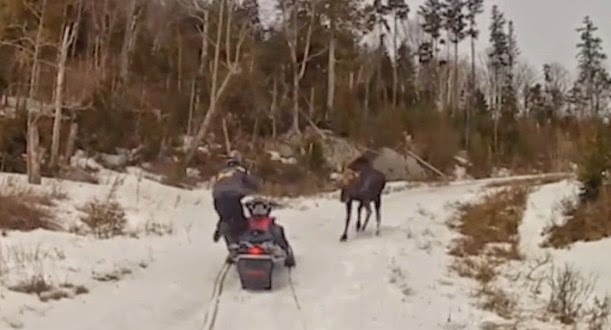 A couple were out snowmobiling near Jackman, Maine when they came upon a moose trotting in front of them. After a little while of following behind the moose, it stops and faces off with the couple, ultimately charging at them. I don't want to be stomped by this.